All that disapproving really wore her out, hoomin. Better get her breakfast salaaad ready and make it crispeh! The napper and the watcher. 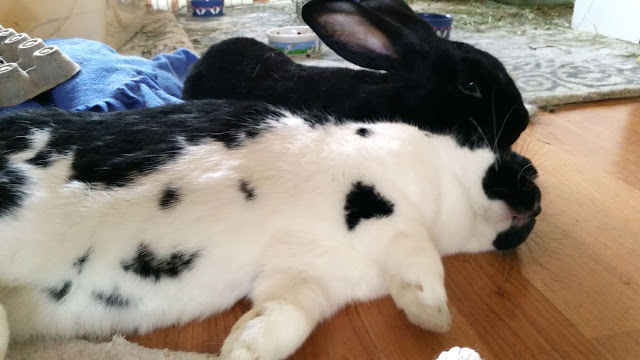 Gilbert is a good bunny, watching over his Tilly. I will head to the store right now for salad stuff !! That looks serious. I hope it all got taken care of in time!!! Looks like it was a rough week, Tilly. Hope your salaaad was crispeh perfection...for both your and your hoomin's sake. I love to see an animal all sacked out, really enjoying a snooze. Also bunny mouf.